Environmental, Social and Governance (ESG) criteria refer to the central factors investors consider with regard to a firm's ethical impact and sustainable practices. This lens empowers the market to evaluate companies not just by their returns but also their greater societal impact. 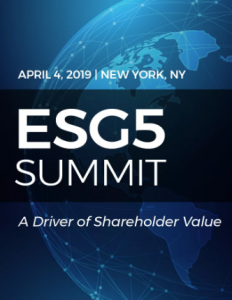 The ESG5 Summit is an event for company executives, shareholders and leaders in innovation to share their experiences with environmental, social and governance standards in light of the growing emphasis on transparency and accountability in today's global markets. It's also an opportunity to learn about best practices, ranging from integrating ESG to measuring and improving performance. 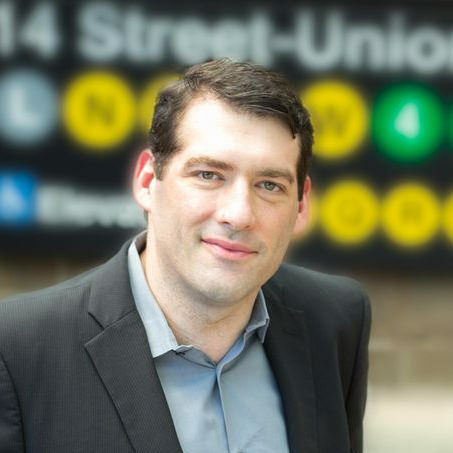 Nate Storch, CEO of Amenity Analytics, spoke on the topic of Competition, Market Analysis and Insights into ESG Integration as well as lead a panel titled Trendline: Embedding ESG into Strategic Decisions and Core Value Creation. Visit the ESG5 Summit website for more information.